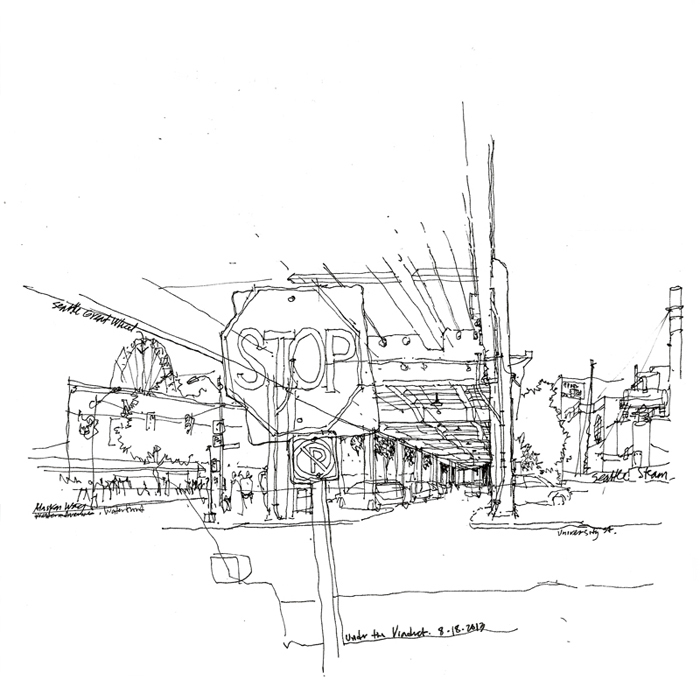 At yesterdays meeting of the Seattle Urban Sketchers group, I drew this view from under the viaduct where University Avenue meets Alaskan Way. I realize that opinions vary about the aesthetics of the double-decker highway and the wisdom of tunneling under downtown Seattle but when the viaduct is demolished in 2016, I will certainly miss the views it offers of downtown and the Olympic Mountains across the sound to the west. I am sorry I missed this one. I will have to go out on my own and sketch there before they take it down. Love the way you filled the space, Frank... as always!